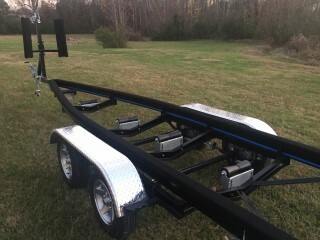 Our trailers are custom built for your boats shape and length. 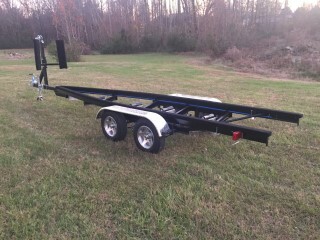 We build our trailers using a steel frame with tandem axles rated at 3500 lbs each. 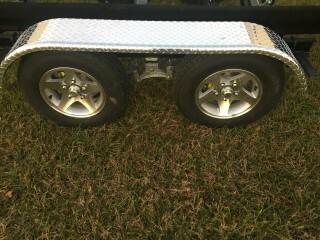 We also install four wheel disc brakes, quality aluminum wheels and LED lights. 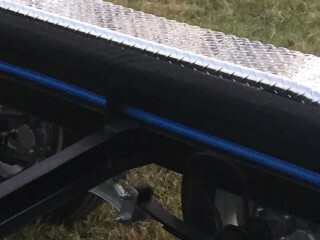 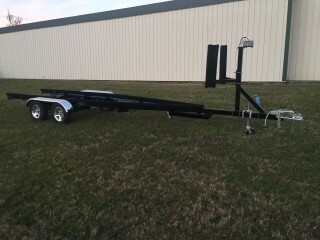 One of the greatest features of our trailers is the "goal post" style bow stop that comes standard on all of our trailers. 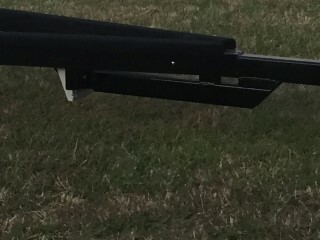 The bow stop alone is a $1000 value in itself.